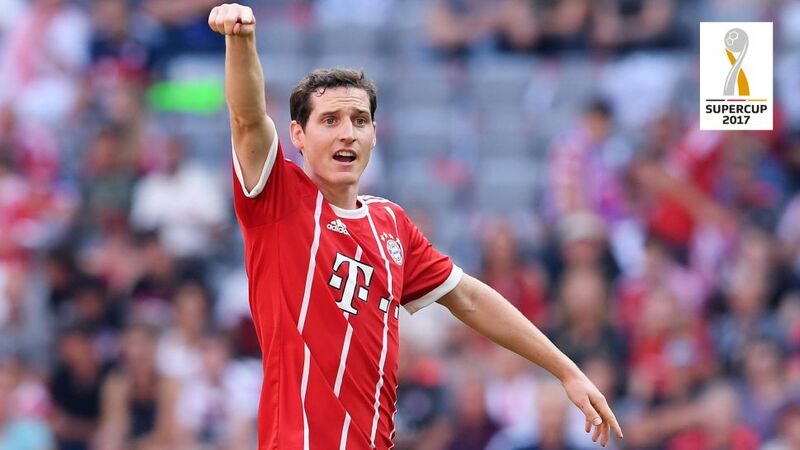 Sebastian Rudy believes Bayern Munich must now "flick the switch" after a disappointing pre-season as they head into Saturday's Supercup against arch-rivals Borussia Dortmund. Rudy, at 27, was the second-oldest member of a baby-faced side that lost 2-0 to Napoli to end Bayern's Audi Cup campaign on a low note. The defeat to the Serie A outfit was Bayern's third consecutive loss and their fourth reverse in five pre-season outings that brought just a single win - albeit an impressive one against English Premier League champions Chelsea. Rudy, a summer arrival from Hoffenheim, believes the weekend trip to the Signal Iduna Park to open the new campaign presents an opportunity for Carlo Ancelotti's men to show their true worth. Official Fantasy Bundesliga: Sign up for the new season now! Question: That was a bizarre kind of debut against Napoli, wasn't it? Sebastian Rudy: It wasn't really negative. It was really fun to play with the young players. They did really well, played courageously. We should have scored some goals with the chances we had in the first half. Of course we wanted to win, even in that context, but I'm really happy to have played my first match. I now want to continue. Q: How do you behave as a new arrival at Bayern? On one side, you have to settle in well, on the other, you have to show you want to get into the team. Rudy: You have to come in here with your chest puffed out. You can't be afraid, you have to be self-confident. That has nothing at all to do with being overly aggressive in training. Actually, we're team-mates, we all want to learn from one another and need to prepare 100% for games. I think that I have settled in well, and I hope it will improve still more in the coming days. Q: Right now, you're a national team player and don't need to bow down to anyone. That's also how you presented yourself at your unveiling last Saturday. Rudy: You have to do that when you go to Bayern. You can't afford to hide. Of course there is competition for places, but if I didn't believe I could make the jump, I wouldn't have moved. I'm really looking forward to it, to learning from fantastic players and let's see what comes out of that. Rudy: We now have to make sure we flick the switch. Saturday's game is very important for us. We want to win it. We still have a few days to get over this game and analyse it. On Saturday, we must be 100% switched on and then I think we can be successful there. Q: How much longer do you need to be 100%? Rudy: I feel very good already. I'll try to take the next step in the coming days. It won't take much longer before I'm at full power.